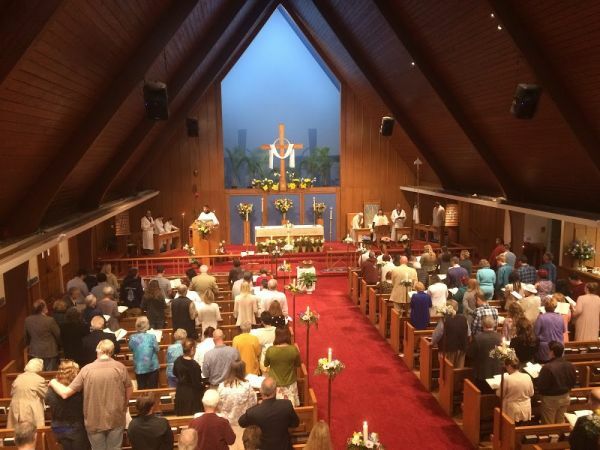 Welcome to the website for St. Paul's Episcopal Church in Ventura, California! For over 129 years, we have been here in Ventura worshiping, loving and serving the Lord. 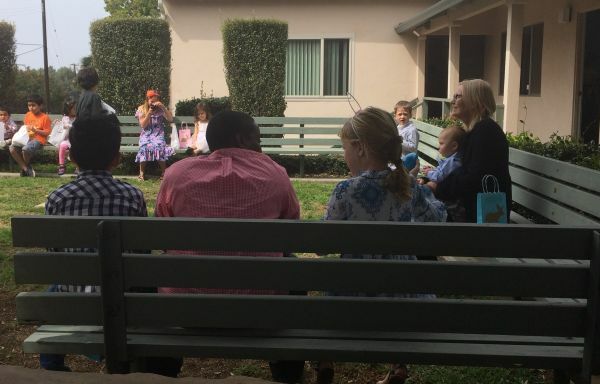 We are a friendly, welcoming and inclusive congregation that lives up to our mission statement, "We follow Jesus, nurture minutes and welcome all." Located in midtown across from Ventura County Medical Center, we are easy to find and look forward to welcoming you in person. At our Sunday Services you can experience uplifting worship, awesome music, inspiring and relevant preaching. We have wonderful programs for youth and children beginning at 10am on Sundays. Each of our services is followed by a time of fellowship with coffee and refreshments. Our 10:15am Sunday Services have an American Sign Language (ASL) interpreter and offer all people the opportunity to learn, grow and experience church in a new and exciting way. This is a fully integrated Deaf Ministry, not one that separates some of us off to the side, but ministers to all of us together. Our interpreter is one of the altar ministers. She moves around and interprets from wherever the action takes her. This offers everyone the opportunity to participate fully and share the worship experience. What about the people who don't need an interpreter? They get to be inspired on yet another level, by this beautifully expressive visual language. And, because ASL is conceptual (based on meaning, rather than on a word for word translation), it invites us to explore our faith in a unique way, deeply considering the concepts behind the words we use. Come see for yourself. Come get inspired! We are dedicated to keeping the faith, and working together to put our faith in action. We offer many small groups for bible study and fellowship. We also enjoy working together to reach out and help our neighbors by serving the world in the name of Christ. We feed the hungry, help those in need, and support programs that benefit the hungry, the homeless, children in foster care, women recently freed from human trafficking, migrants and refugees, and many other important causes. In addition, we are an Abolitionist Congregation actively working to abolish the scourge of modern-day slavery. We would love to have you join us any time. You can look forward to getting a warm welcome, having a wonderfully inspiring experience, and being offered a great cup of fair trade coffee before you go. The people of St. Paul's wish you Peace. We believe that the best way to get to know us is to come visit one Sunday, though we know it can be difficult to take that first step. We hope these photos share with you our values and invite you to join our community. All are welcome to join us for Communion. If you would prefer to receive, simply cross your arms in front of your chest. 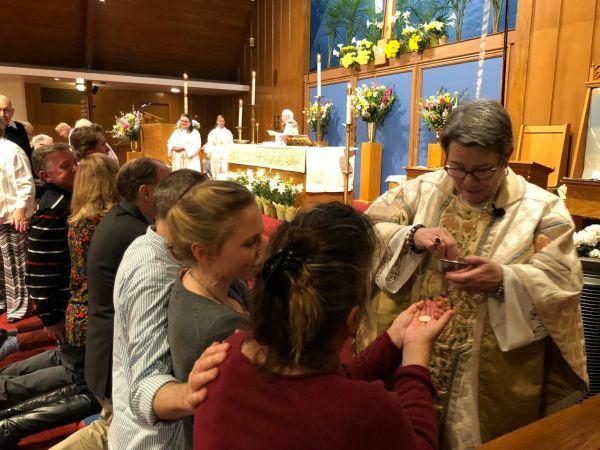 Please let an usher know if you would like a priest to bring you Communion. 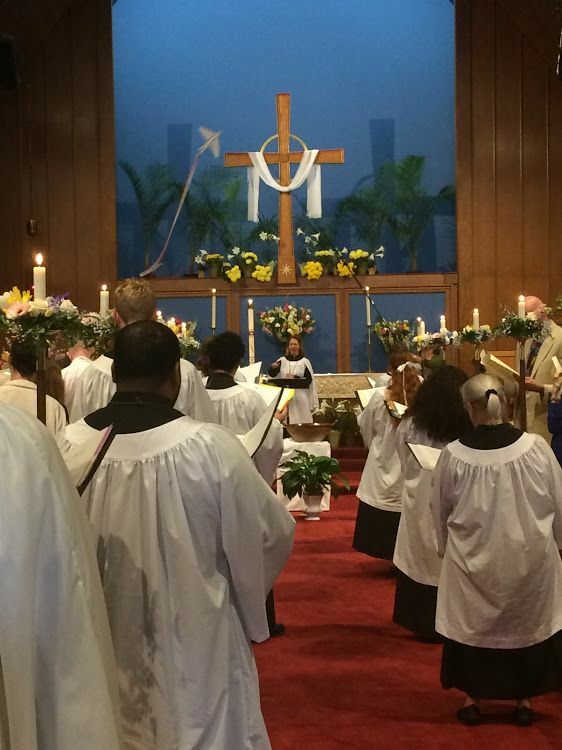 Our choir performing Handel's Hallelujah chorus on Easter Sunday. Their beautiful voices carried them through 3 renditions! 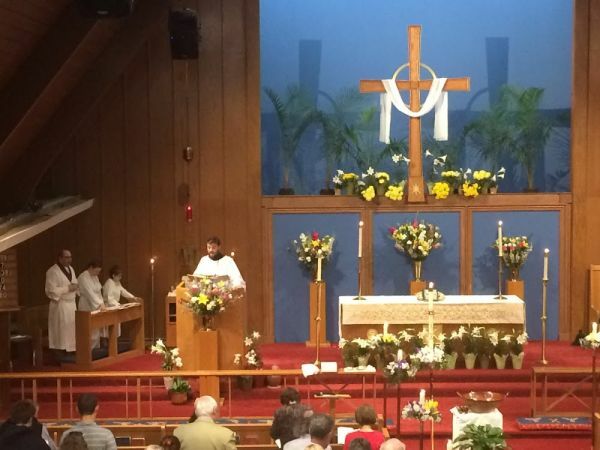 Our Floral and Altar Guilds do a wonderful job of decorating our church for all services. 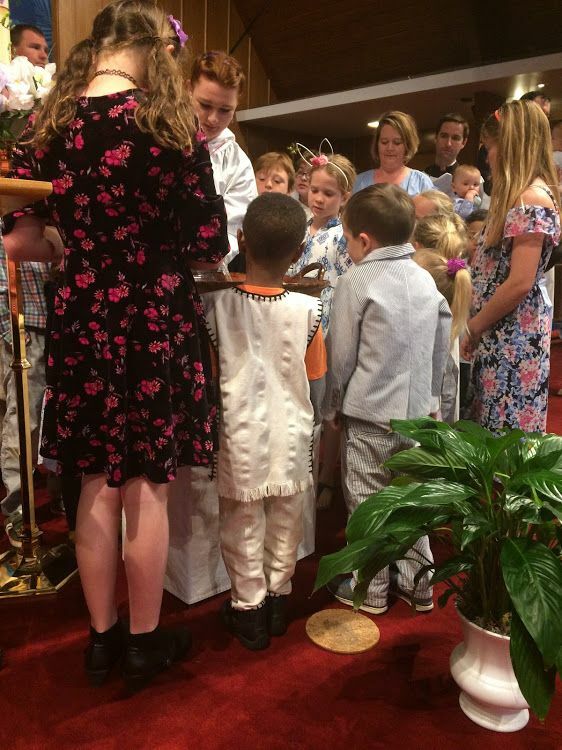 Our children gather to bless the water for a baptism. 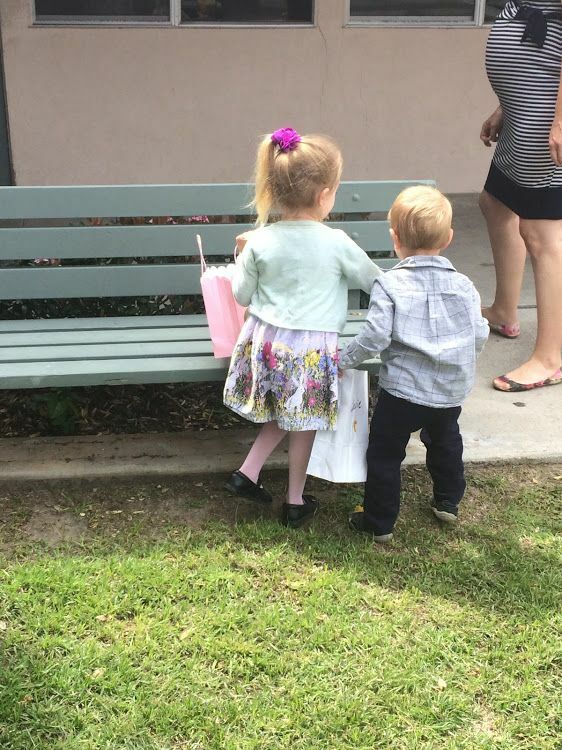 Easter egg hunts are always better with a buddy! We love our church and the welcoming community it supports.